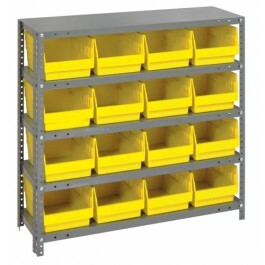 Steel Shelving with Plastic Bins are an economical small parts storage system keeps parts easily accessible. 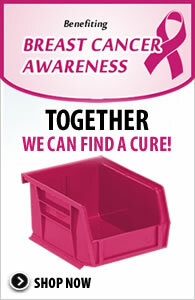 Open hopper front bins with label area provide fast access to stored items. This all-in-one unit is easy to clean and will not rust or corrode. 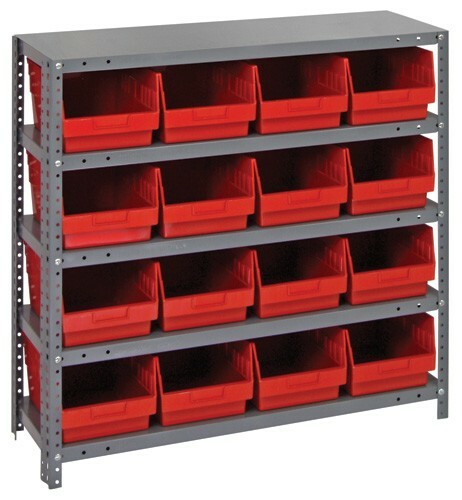 Heavy-duty, high grade shelving offers a 400 lb. capacity per shelf. 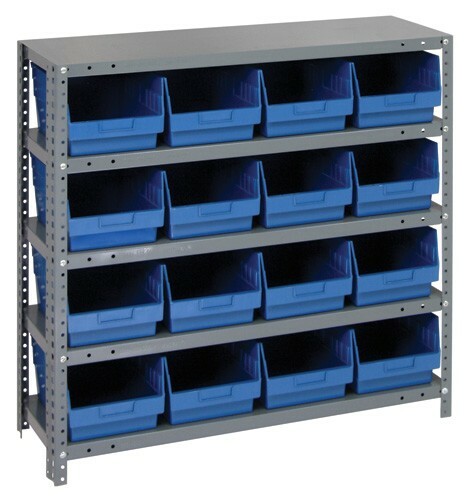 36" wide shelving has a smooth powder coat finish. 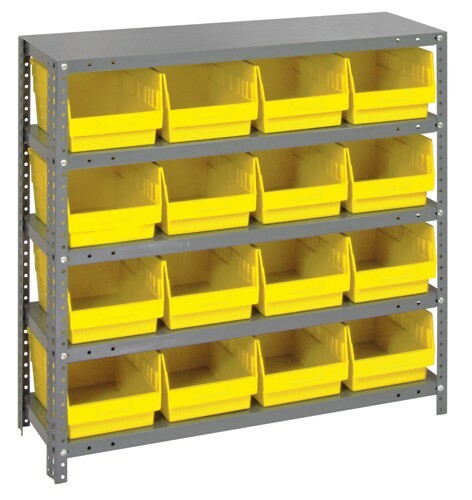 12" x 36" x 39" Steel Shelving Unit with 16 QSB207 Bins. 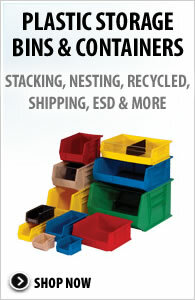 Bins available in Blue, Red and Yellow.